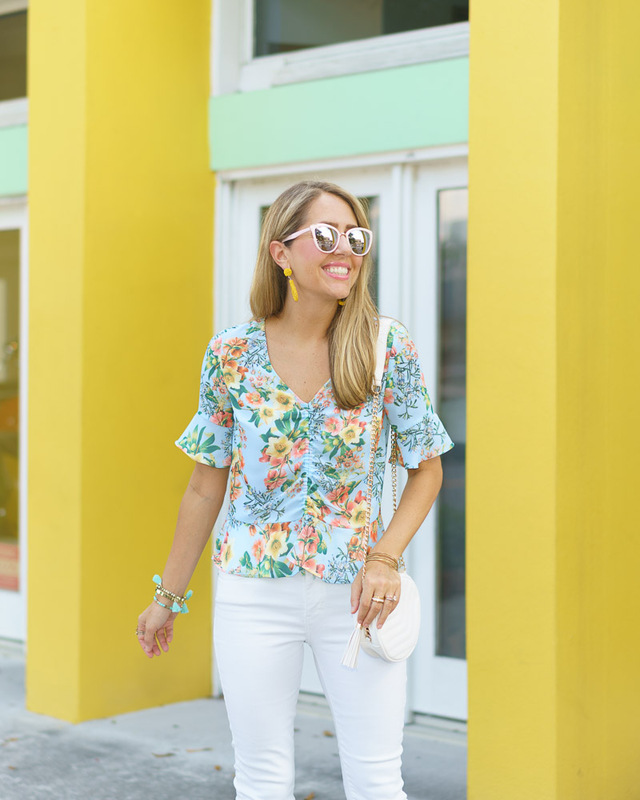 We are proud to partner with JCPenney and ShopStyle for today’s post. Sponsors are carefully selected in conjunction with our mission statement to bring you style content we think you’ll love. All opinions and editorial decisions are solely my own. I literally cannot with how cute these outfits are from JCPenney! Not to mention the amazing prices - the floral ball gown was only $55 with a coupon (what?! ), and most other items were between $10-20. The dress is so perfect for a fancy wedding or event, and both white jeans outfits are totally my jam. Especially the gingham mules with bow and the floral mint top, both which could be worn for work and weekends alike. As if that weren’t enough, the message behind this JCPenney campaign is also so good. JCPenney “celebrates the human spirit - in any form. People of all walks of life, and a diversity of size, age, gender, personality, and lifestyle.” My guiding word for J’s Everyday Fashion has always been “inclusiveness” and making fashion something everyone feels welcome to enjoy is my goal, so we are totally on the same page, JCPenney! I’m proud to take part and had so much fun putting together today’s looks. Head on over to shop, and tell me: which item or outfit is your favorite?